This clinic is the place for adventurous women to come together and encourage each other to fulfill their goals. The day is about empowerment and creating connections with a network of like-minded women to support and inspire you in all your surfing pursuits. Whether you are ready to catch your first waves, become more confident in the water, or to improve your current skills, we are here to help guide you on your journey. Our priority is getting you into great waves, and giving you the tools to become a better surfer in a positive and supportive way. Your day will consist of 2 hours of small intimate group instruction at the beach and in the ocean. Enrollment is limited to only 8 students per clinic. Our experienced and amazingly awesome instructors will make sure you stay safe and get the very most out of your lesson and time in the water. Bring your lunch and we can commune together over food and drink after our instruction. We will discuss surfing, give feedback and plan progressions. You will have your surf gear for the day. You can go back to the water for an afternoon session with your new skills, new friends or the whole women tribe. Enjoy! $150 which includes gear for all day use (surfboard, wetsuit and booties) You will have the opportunity to try different board sizes and shapes depending on conditions. This is a great time to narrow down your choices if you are looking to purchase a new surfboard. It is never too early to plan for summer, as it will be here before you know it. We still have some room in our Summer Surf Camps, so now is the time to sign up. 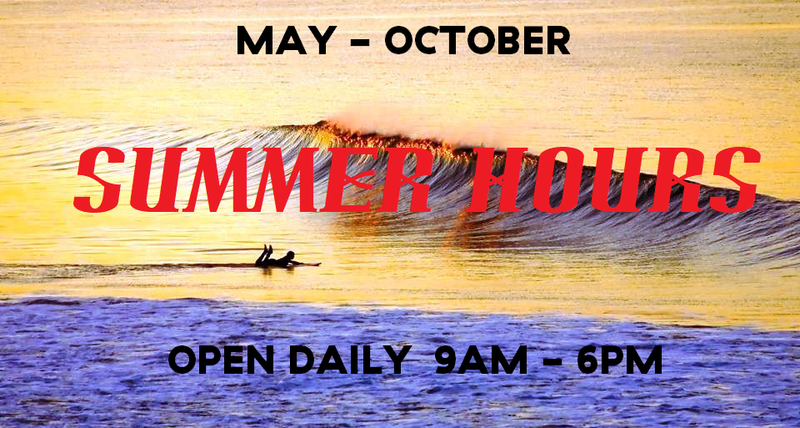 This summer Bolinas Surf Lessons and 2 Mile Surf Shop will be offering 8 weeks of kids summer surf camps. Each camp will involve 4 full days of surfing, boogie boarding and hanging out on Bolinas beach, the Bay Area's safest beginner beach. 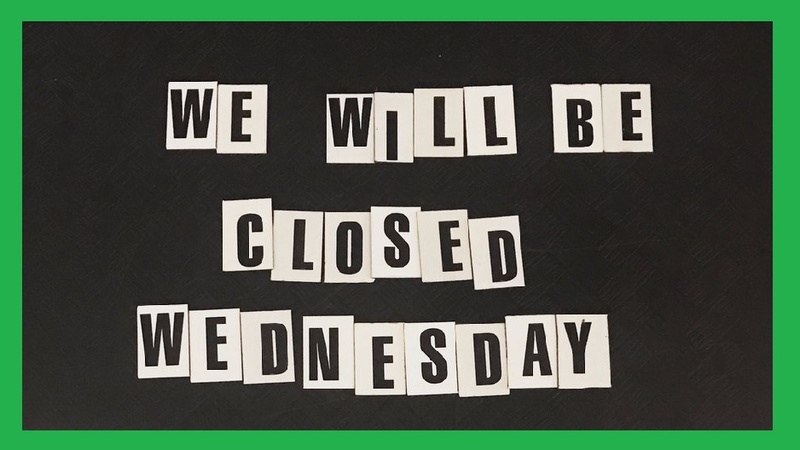 WE WILL BE CLOSED ON ALL WEDNESDAYS DURING THE MONTHS OF JANUARY, FEBRUARY AND MARCH. We will re-open on Thursday morning and be open daily from 10am - 5pm during all the other days of the week. We will be open daily from 10am - 5pm during this time. This clinic is the place for adventurous women to come together and encourage each other to fulfill their goals. The day is about empowerment and creating connections with a network of like-minded women to support and inspire you in your goals of surfing and life. Your day will begin with 2 hours of small intimate group instruction at the beach and in the ocean. Our experienced and personable (amazingly awesome) instructors will make sure you stay safe and get the very most out of your lesson and time in the ocean. Following our morning session in the water, we will show some kindness to our paddling muscles with a relaxing mediation to soothe our minds and our bodies on the beach, in nature…bliss. Bring your lunch and we can commune together over food and drink. You will have your surf gear for the day. You can go back to the water for an afternoon session with your new friends, old friends or the whole women tribe. Enjoy! Cost is $150 for the clinic which includes all the gear - surfboard, wetsuit and booties. 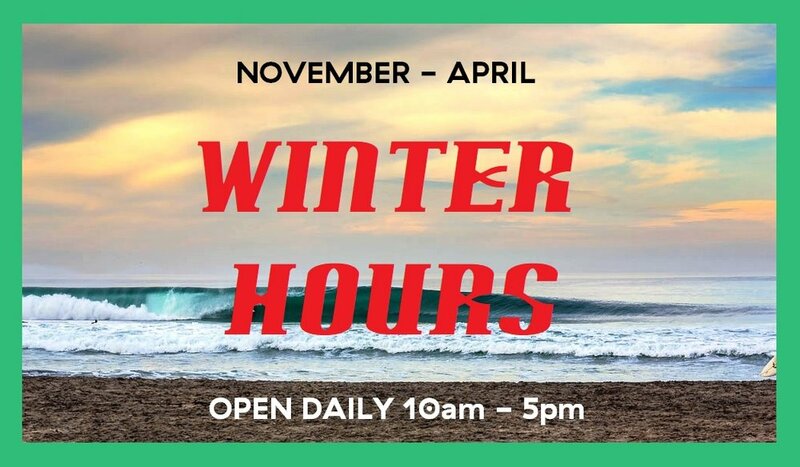 We will be open daily from 9am - 6pm during this time. This summer Bolinas Surf Lessons and 2 Mile Surf Shop will be offering 9 weeks of kids summer surf camps. Each camp will involve 4 full days of surfing, boogie boarding and hanging out on Bolinas beach, the Bay Area's safest beginner beach. Celebrate the New Year Sale! Sale Starts 1.15.2018 and runs through the end of the month. This Fall, take your surfing to new levels. This 1-day clinic is for those individuals who have taken surf lessons and have been actively surfing for at least 6 months. Our intermediate surf clinics introduce special progressive learning techniques so you can improve your style and abilities in the water. Our Intermediate Surf Clinic is for the late-beginner to intermediate surfer who is really looking to take their surfing to the next level. We will help you gain confidence in the waves and improve your surfing skills. In the clinic you will get the full surf experience in a small group with 2 of our lead instructors. The day begins with a surf check of the local breaks for best conditions. Surf-spot selection is taught through the eyes of the advanced surfer, taking in to account swell models, tide data, and personal observations. You WILL learn how to decide when and where EXACTLY the best surf will be. Whether ripping the Channel or Nose-riding the Patch you will be ready to surf to your highest level. Once out in the water, our experienced instructors will help you to "tackle the lineup" and catch waves in any situation. Your surfing will be progressed from "riding to ripping" as we delve into the key surfing concepts such as wave selection, position, the drop, the bottom-turn, top-turn, and cutback. With personal instruction and the opportunity to surf both spots in town with expert local surfers, this clinic is an experience you will find nowhere else. 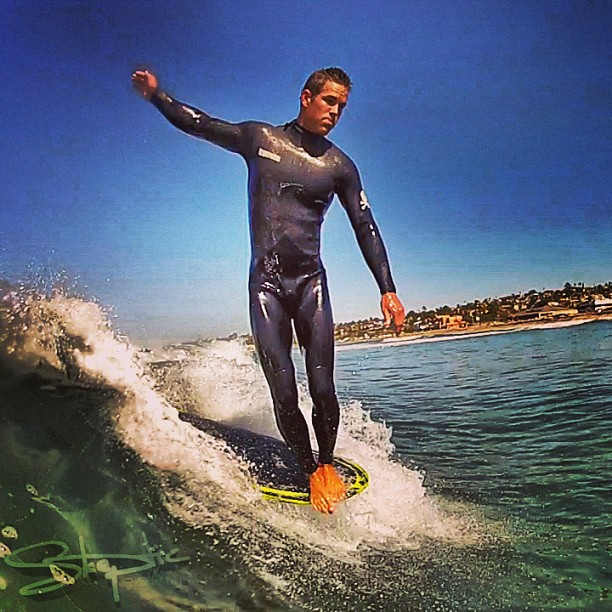 Our Adult Surf Clinic is a great way to quickly improve your surfing and get lots of water time in a one day. If you already own gear you will have the opportunity to try different board sizes and shapes depending on conditions. This is a great time to narrow down your choices if you are looking to purchase a new surfboard. 4 hours of instruction with 2 hours of instruction and surfing in the morning, a break for lunch and then 2 hours of surfing in the afternoon. 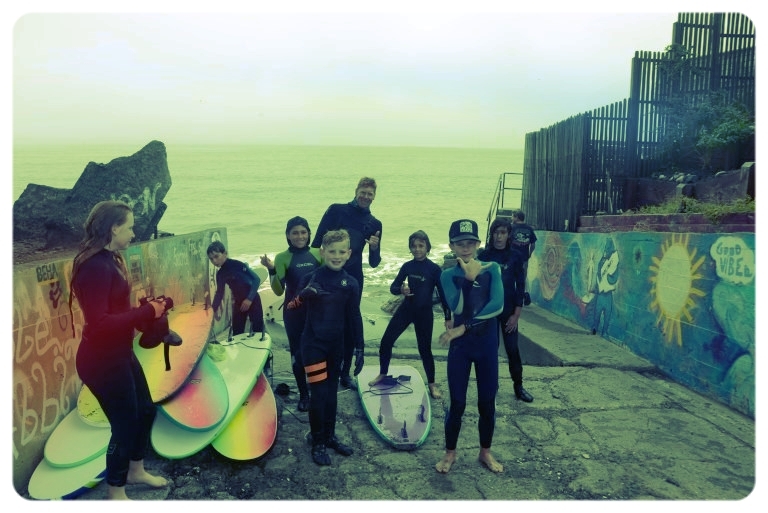 Surfboards for all abilities - Beginner, Intermediate and Advanced. Foamies and Epoxy boards with prices starting as low as $200. Used boogie boards for $25. Whether you are ready to catch your first waves, become more confident in the water, or to improve your current skills, we are here to help, support and guide you on your journey. Cost is $150 for the clinic. Enrollment is limited to 8. Paul Strauch and Mike Hynson will be in attendance. ** Tip - Early bird $20.00 tickets available only until September 1st. *** Pizza and alcoholic beverages not included in ticket price. Summer Shop Hours start May 1st and run through the end of October.